Clementine’s having a nervous breakdown. The FAMILY MEETING sign is up in her house, and she just knows she’s in trouble for something! Try as she might to find out what’s on the agenda, her parents won’t say a thing. So their announcement comes as a bolt from the blue. “We’re talking about a new baby,” says her father. “A brother or sister for you two. What do you think about that?” NO THANKS! is what Clementine thinks. After all, four is the perfect number for a family. There are four sides to a table, not five. 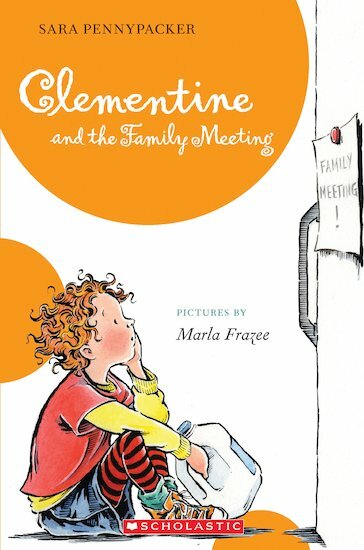 Will Clementine learn to make room for one more?